Here are the rest of the Quilts of Valor from the Stitching Sisters goup that I quilted before my trip. The first one was quilted by Nadine. I wish you could see the background fabric, it was almost pearlescent, really lovely. And you gotta love this backing fabric! Here is another by Nadine. She used the same pearly fabric in this one. This one was made by Kerry. I think she adds some yellow to all of her quilts. it really adds a spark to it! 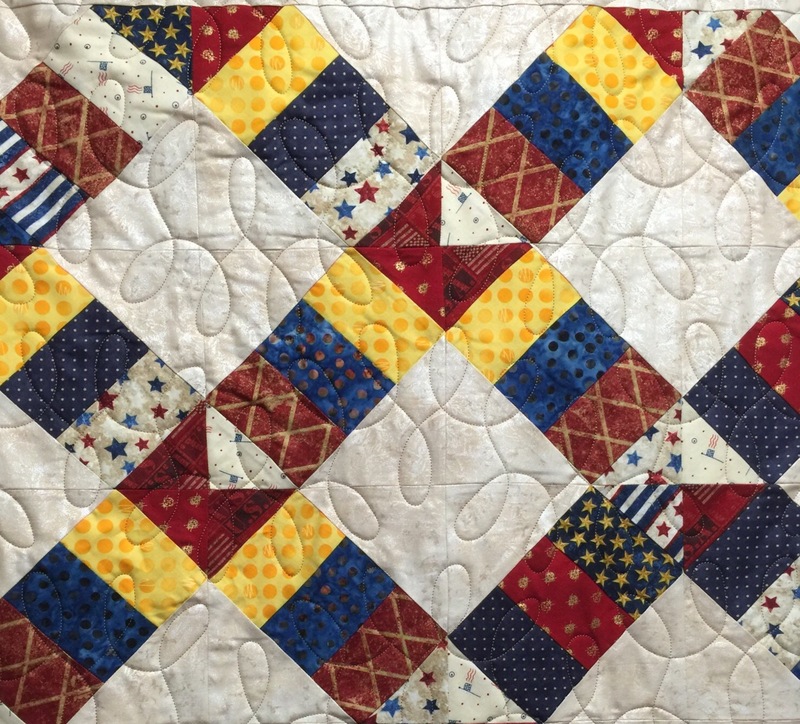 I like the shots of yellow through these quilts, very effective and your quilting is as beautiful as ever. Wow, you’ve been productive! Love your quilting. Perfect touch to those beautiful quilts. Great job! Thanks for linking up to TGIFF! These are all beautiful quilts! 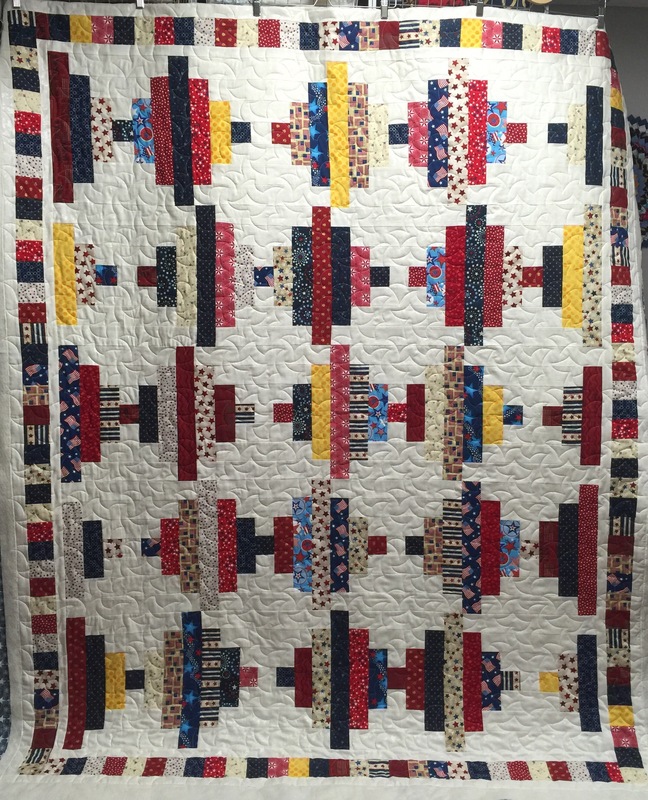 You used some great patterns for those quilts! 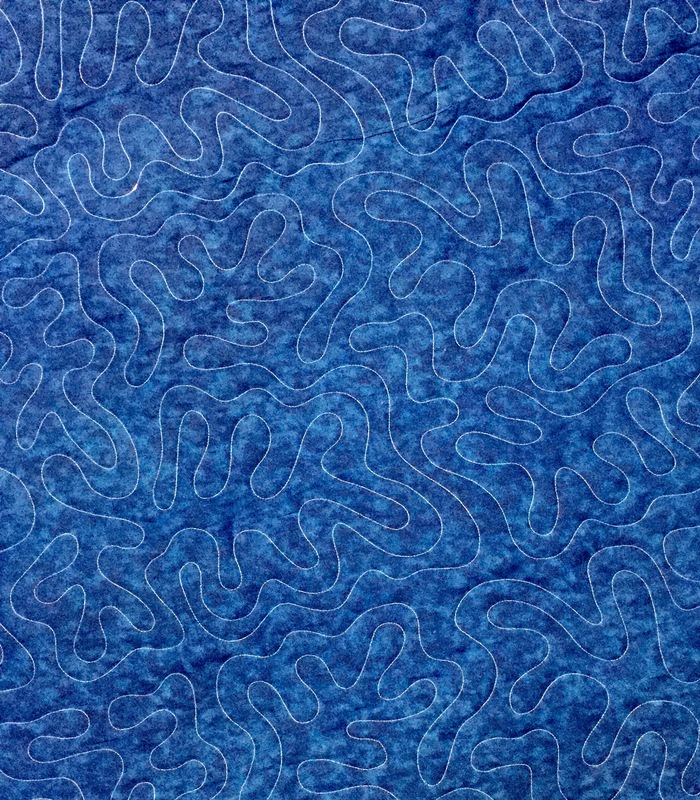 Great quilts. Your quilting just adds a little something to them all. Great job. 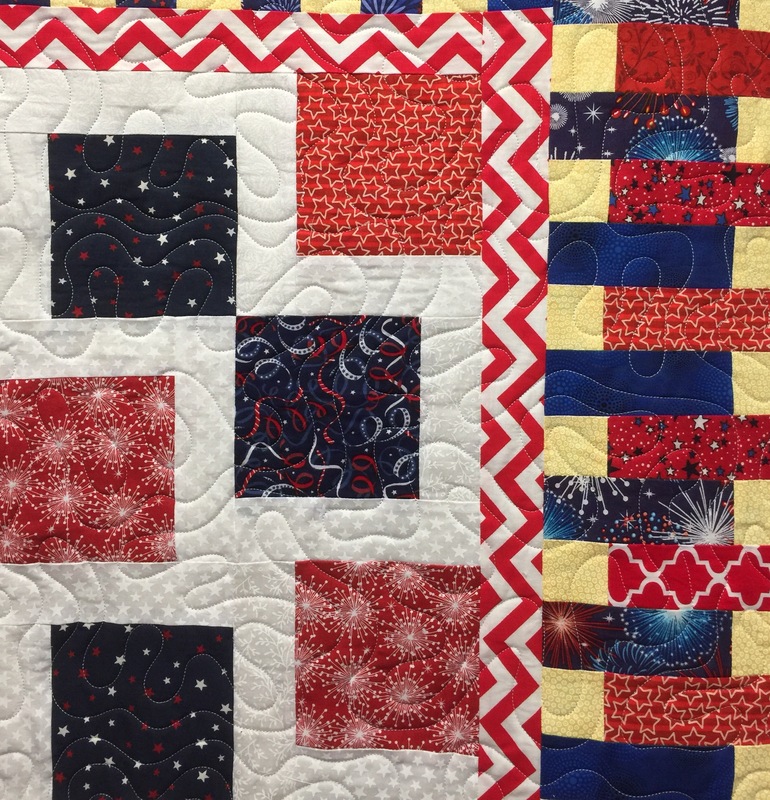 Love them all…fronts, backs, and your quilting finishes them off nicely! Beautiful! I thank you for your service to those who served! 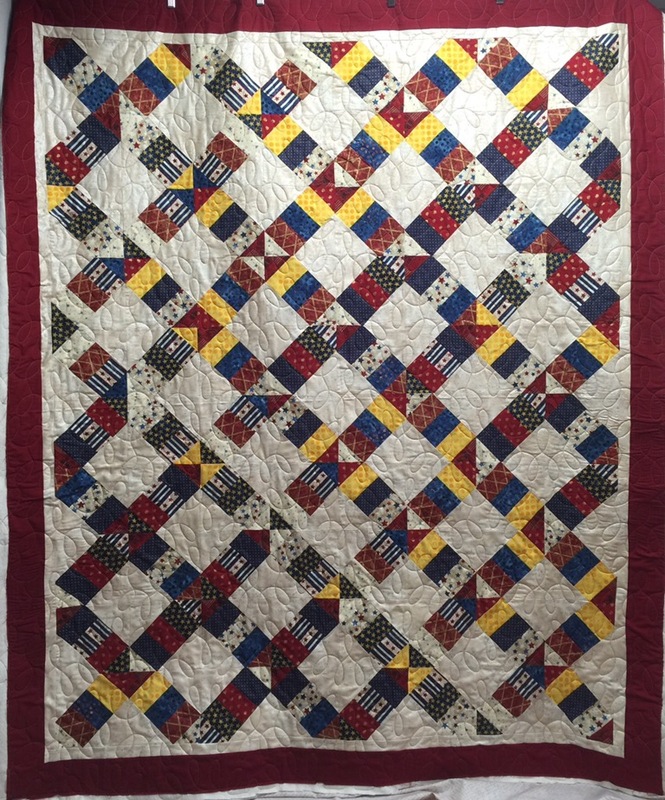 Great quilts and lovely quilting. The people who receive these quilts will treasure them forever. Beautiful work by the women that pieced them and by you. 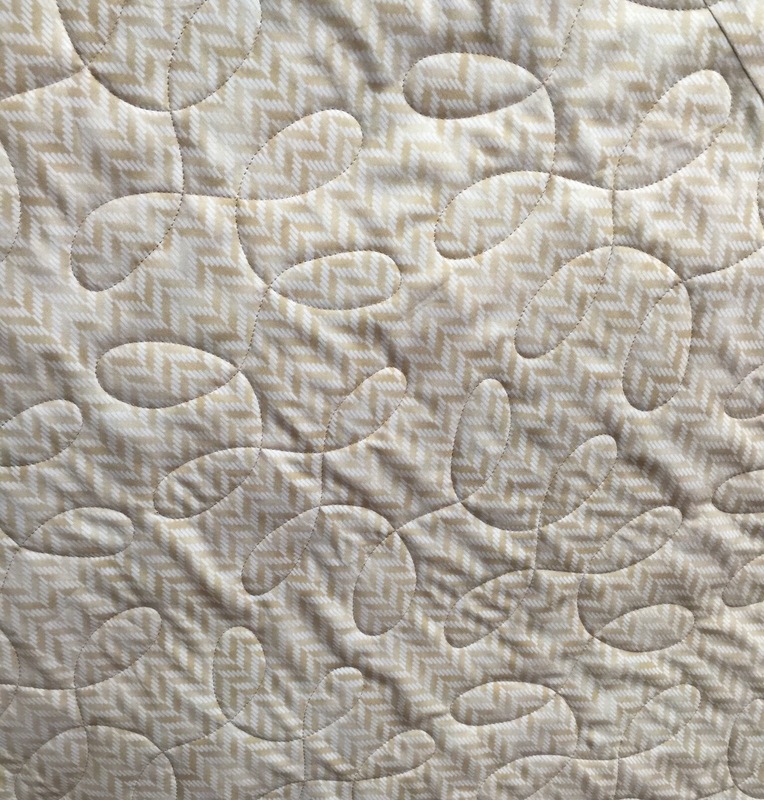 I found it amusing that you quilted Nadine’s second quilt with what LOOKS like LC (my initials). LOL! 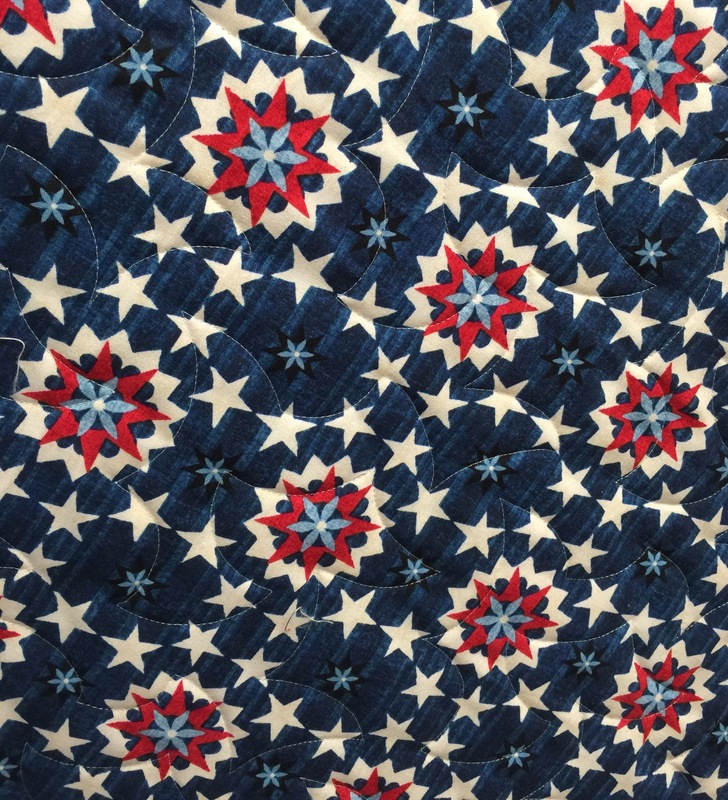 Great quilting on some pretty quilts. 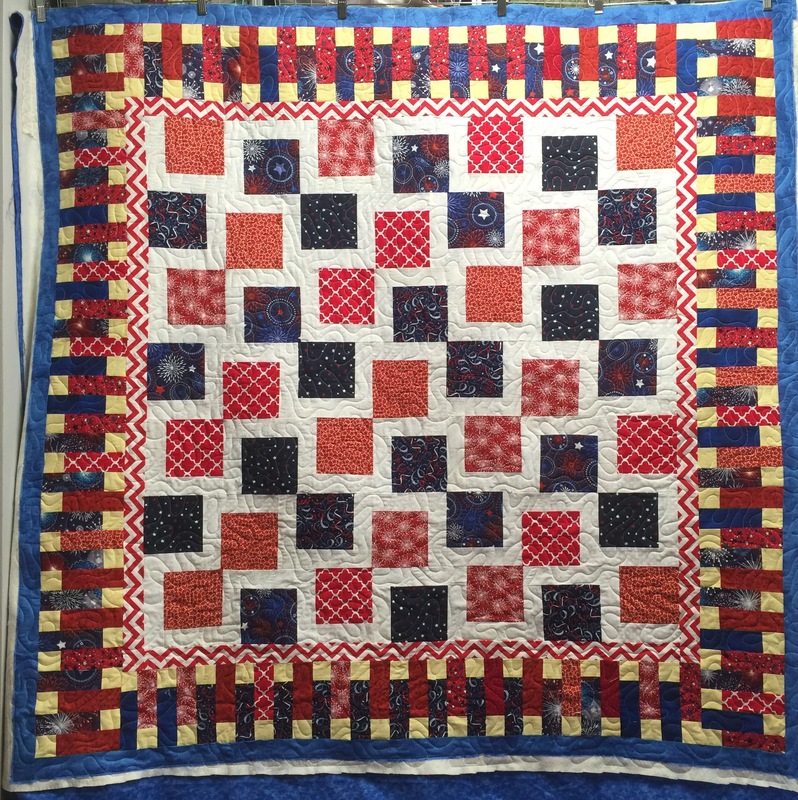 I love making quilts for QOV and they are so loved. 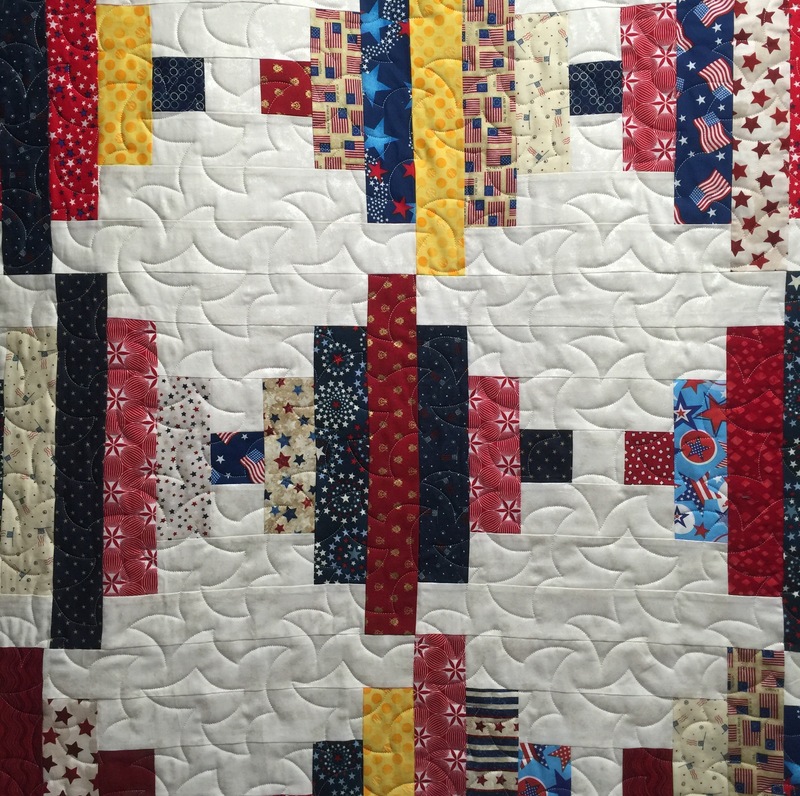 Lovely quilts, made even lovelier by your work! Thanks for showing the backings. It’s fun to see what is used for that as well!